"We're going to make it now for sure, there's not even a chance (it won't happen). From a galactic scientific point of view, we have made it. We have already arrived, but it doesn't look like it." 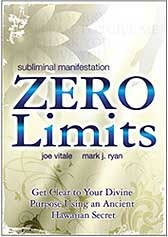 Brand new Zero Limits DVD released with Joe Vitale, Mark Ryan and Dr. Ihaleakala Hew Len entitled, "Subliminal Manifestation: Zero Limits"
Listen to a recording of this call here. Good evening and welcome to the Miracles and Inspiration conference call for Tuesday, September 1, 2009. My name is Scott Mowry and with me as usual is our co-host for this evening, Dan Rezac. Dan how are you doing tonight? On tonight's call we will be discussing some fantastic new information that has come out about Zero Limits and the ancient Hawaiian healing system of Ho'oponopono. We also want to tell you about some amazing new information from Drunvalo Melchizedek and the Mayan elders. That will be coming up next. First to begin with tonight, Dan will lead us through an invocation. The sun rises and a new day begins. And as the rays reach out across the surface of the earth, feel how you are cleansed. Feel how each ray of the sun gives you a way to clear away all that was yesterday and move into today. Yesterday may have been filled with opinions and judgments. Perhaps you looked at the way things were and the things people did and decided that this was a mistake, and that would have been better. You ended your day with the compartments of your mind full, full of things you were grateful for and things you wish had not been. And your regret compartment might have been full indeed. Your bucket of love may have been empty and your will to forgive may have been unwilling to do so. Then you learned those four beautiful phrases, I love you, I’m sorry, please forgive me and thank you—reminding your mind to send love out into the world, apologizing for the circumstances you witnessed, asking forgiveness, offering forgiveness to others and saying thank you to bring closure to the events. But now, today, let the rising sun and these four phrases clear all of that away. Open your mind to the rays of the dawn and allow all of the opinions to clear. Take a very clear view of how things are, exactly as they are, objectively assessing life as it is in this moment, and clear out the compartments that judge whether this is good or bad and whether your actions from the days before were successful or lacking. Today, begin again. Begin again with how things are today. Let the dawn show you that what appeared to be a mistake yesterday, could today be an opportunity. Let it show you a new solution to an old problem. Things shifted and changed overnight. A person who was difficult yesterday may be open to new ways of seeing today. And that person could be you. And so, let us greet the dawn with joy and enthusiasm, as it cleanses the earth and clears our minds. Let us give thanks for a new day, for the sleep that puts an end to one day and a beginning to the next. Today, in this moment, we are born anew and the entire world awaits our joy, our laughter, our open flowing hearts of love. Smile and be glad. Welcome, says the sun. Welcome to a new day. As we said in our introduction, tonight we are going to be going over some incredible exciting and new information. As a matter of fact, we can go so far as to say this is some of the most amazing information we have seen to date! It would seem that we have entered into a whole new paradigm of truth, wisdom and enlightenment over the last couple of months. And we are going to show you tonight why we feel this way. To begin with the most current events, we wanted to share with you tonight some amazing new information that has come courtesy of Drunvalo Melchizedek. Drunvalo has been putting out a steady stream of information over the last year and we want to cover some of his most up to date news that he recently delivered regarding the Mayan prophecies and the shift of consciousness. However, the first video clip we want to play from Drunvalo comes from a sneak preview of a film called, "Our Seed of Life. In this video, Drunvalo talks about what is coming up in our immediate future as we begin this process of transformation. We think you will find his words very inspiring. "We're rapidly coming to the time when the cycles will change. And this is it. This is the time to really believe in yourself and trust in yourself and go for it. Just absolutely go for it. The children are going to get what they really want. They know what they want. They want a beautiful world to live in and they're going to get it. We're going to make it now for sure, there's not even a chance (it won't happen). From a galactic scientific point of view, we have made it. We have already arrived, but it doesn't look like it. Now we have to make the look like it part change, but we are safe at this point. Completely safe." 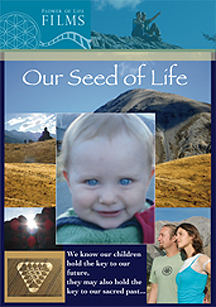 Watch the entire trailer for the film, "Our Seed of Life." 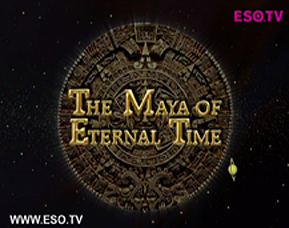 Then, back on July 29, 2009, Drunvalo Melchizedek did a very special web cast entitled, "A Spiritual Talk Show - The Maya of Eternal Time." He stated that the purpose of this web cast was to get out some new and vital information that has come directly from the Mayan elders, in the most timely manner possible, rather than writing another book, which could take a year or more to complete. At the end of his web presentation, Drunvalo took questions from several members of the viewing audience. We would like to play you one of the questions Drunvalo answered about the Mayan timeline of events. From Drunvalo's presentation, perhaps we can make a few interesting assumptions. – In the clip you just heard, Drunvalo says that the Mayan elders have revealed to him that there is a seven to eight year window open when a great shift of consciousness will occur. It began in the year 2007, and will run through 2015, where that shift could occur at any time during that time frame. However, one could go so far as to say it might be as long as a nine year window, if all of the years from 2007 – 2015 are counted. Therefore, if indeed, we assume it is a nine year window, then from a numerological standpoint, this would be ideal because the number "9" stands for completion. So then perhaps we could conclude that by the end of nine years, this transmutation process will be all but complete. – The other conclusion we can perhaps draw from the Mayan's timeline of 2007 through 2015 is that essentially, we are in that time period where you can make this transition now, if your consciousness would allow it. In other words, you are free to go right now, if you so choose. You don't necessarily have to wait until the Earth and the rest of humanity makes the transition. Perhaps the Mayan elders are indicating that the conditions are right for a consciousness transition to happen now and has been since the year 2007. And perhaps, we may begin to see or hear about people that just "disappear," as more and more awaken to their true potential as spiritually empowered beings. As Drunvalo has said: "This is the time to really believe in yourself and trust in yourself and go for it. Just absolutely go for it." Drunvalo Melchizedek also answered a whole slew of additional questions after going through "The Maya of Eternal Time" presentation and we would like to play some of those for you now.